Have carrier, will carry! Click through to find out what’s new in the way of awesome baby carriers. Designed to fit children from newborn up to three years of age (or weighing eighteen kilograms) this is one carrier designed to not only lighten, but spread the weight load with each of its four different carrying positions. This new and innovative baby carrier from Minimonkey distributes your bubs’ weight so that it is borne by your hips, back and abdomen instead of solely your shoulders, making for a much more pleasant carrying experience. 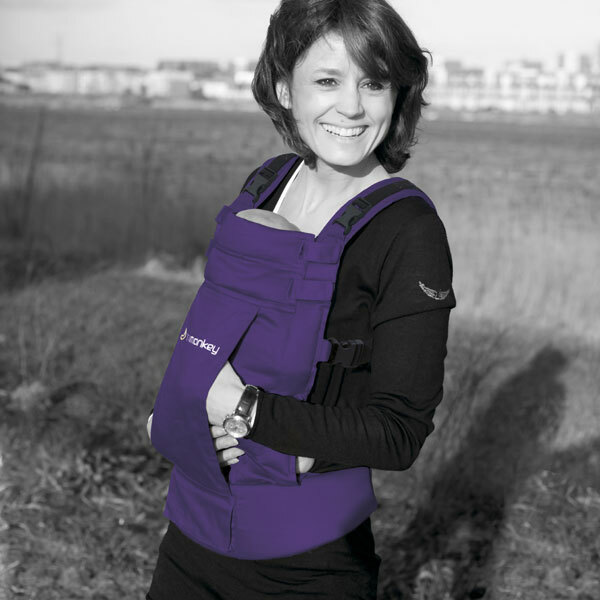 Available in two colours – elephant grey and deep purple, the Minimonkey baby carrier has great features including shoulder straps that can be used crossed over or straight, a small pocket to keep a mobile phone, keys or a dummy handy and perhaps best of all – not only is this carrier compact enough to fit in your bag, it is also completely machine washable. 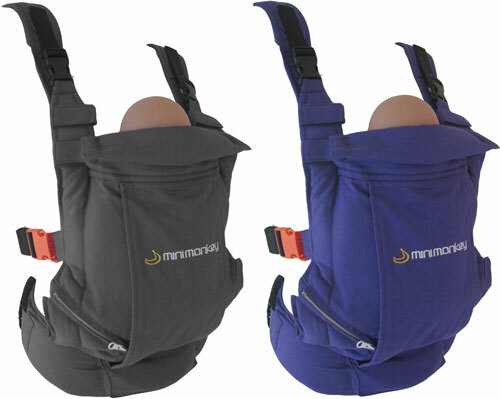 The Minimonkey baby carrier is priced $129.95 and available from Minimonkey. For more excellent Minimonkey products, see our previous Minimonkey posts.